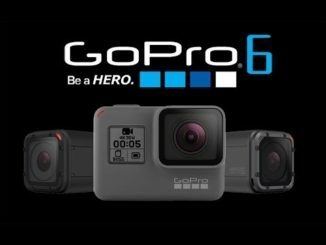 You’d think that with how delicate the balance may be with a handheld gimbal, that camera accessories wouldn’t be very vast. But DJI has a whole host of add-ons to make their Ronin-S handheld gimbal far more capable. Here’s a few of the more noteworthy accessories for the Ronin-S.
One of the benefits of the Ronin-S gimbal is that users can control it with their smartphones, giving them the options to customize each shot options as they go. The bad thing about the Ronin-S gimbal is that users can control it with their smartphones, giving them another piece of gear to juggle as they customize each shot on the go. That’s where the Ronin-S Command Unit comes in hand, as it enables wifi connection to the Ronin-S to control all gimbal adjustments, create time lapses and panoramas. The RSCU features 1 550 nit LCD screen, and a five way joystick for wading through the menu items. There’s also a focus wheel option for use with the DJI Focus Motor Rod Mount. This is where the balance thing really comes into play. 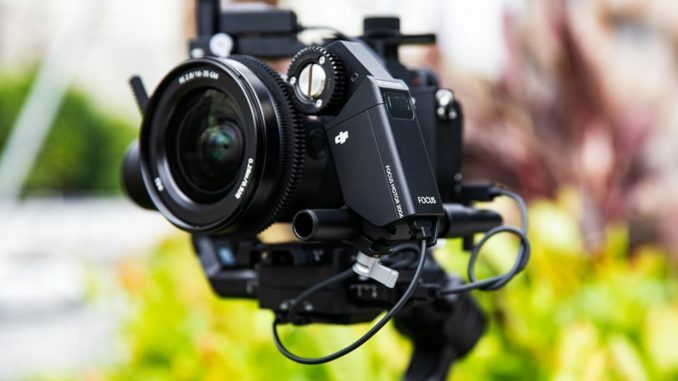 DJI’s balancing features gives Ronin-S gimbal users the ability to add a pair of 15mm extension rods and the DJI Focus Motor Mount, which can connect via WiFi and pull focus to your lenses within .02 degrees of movement. Users can also add a second motor to control zoom or even iris control at the same time. 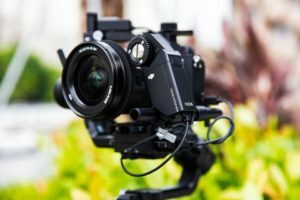 The DSJ Ronin-S handheld gimbal is much like the DJI Osmo Mobile gimbal, except it works with DSLRs and other cameras up to eight pounds, and sports an impressive twelve hour battery life. 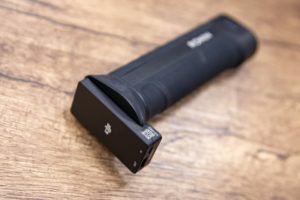 But if you’re going to have an even longer day on set, then the Ronin-S Battery Adapter will enable shooters to swap out their batteries in the handle and plug them in to recharge. The battery adapter also supports fast charging, so it’ll be back up and running in no time. 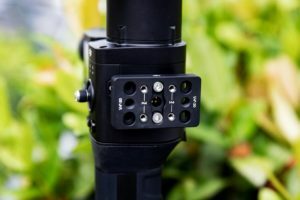 The Ronin-S Cheese plate has two 1/4-20 thread holes to attach to the three different mounting positions of the Ronin-S and provides four threaded m4 holds to mount other accessories, including a video light or even external microphone. This is something I wish the Osmo2 had, because I would love to be able to plug in an external microphone to replace the lackluster recording options of a smartphone. 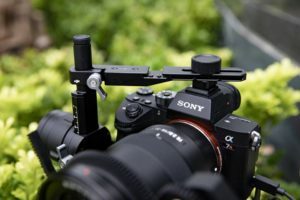 If you’re going to be using the Ronin-S in more high performance situations, like mounted to a car or drone, users can add the Ronin-S Top Mounting Bracket, to give the camera that they add an additional point of contact, while still operating the dampening out features of the gimbal itself. The mounting black attaches to your camera’s cold shoe mount and then fits onto the gimbal’s adjustment post, locking your camera in place. 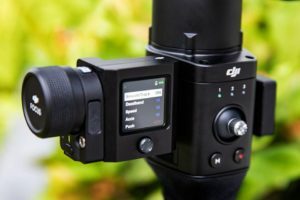 And in a special bit of forward thinking, DJI added a secondary cold shoe mount so that users could add an additional accessory like a video light, an external microphone, or DJI’s GPS accessory, which will calculate the horizon on the fly and adjust the camera accordingly. 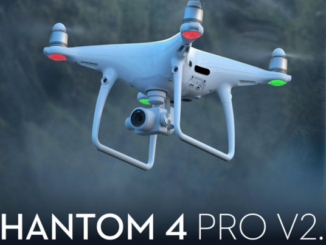 No word on pricing or availability, but DJI will be showcasing the accessories at the annual BIRTHTV Show in Beijing, beginning tomorrow. So stay tuned for an update.